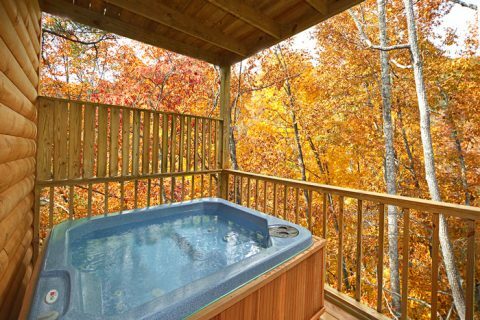 Come enjoy this cozy honeymoon cabin rental in Pigeon Forge with a hot tub and fireplace that sleeps up to 7 guests. 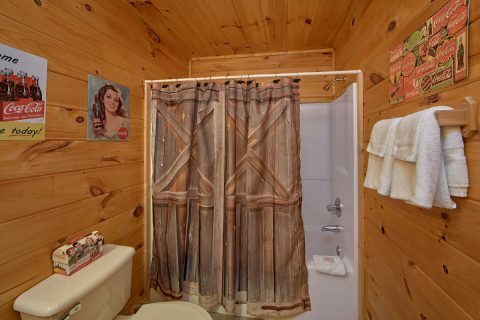 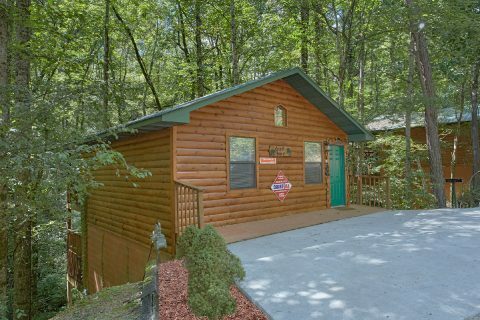 This wonderful cabin getaway for honeymoon couples or small families on a budget places vacationers close to Dollywood and the numerous attractions and shows along the Pigeon Forge Parkway! 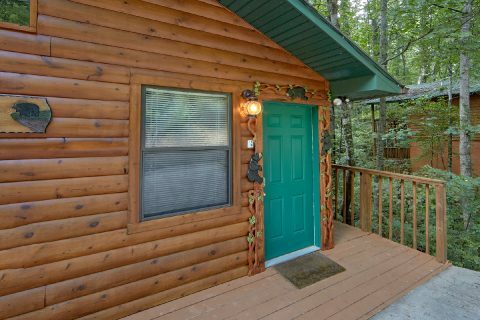 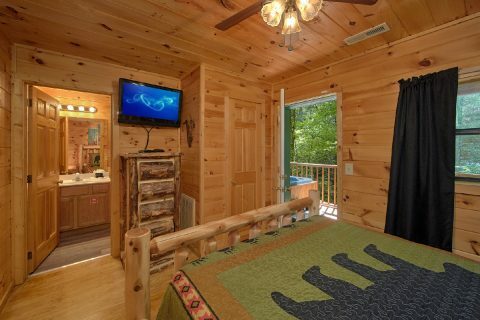 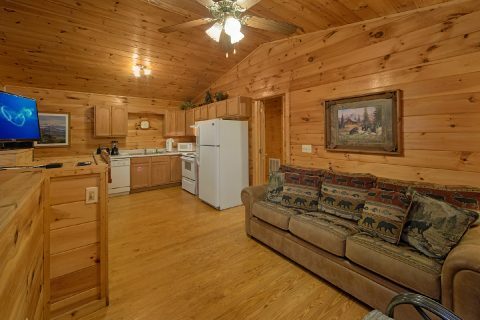 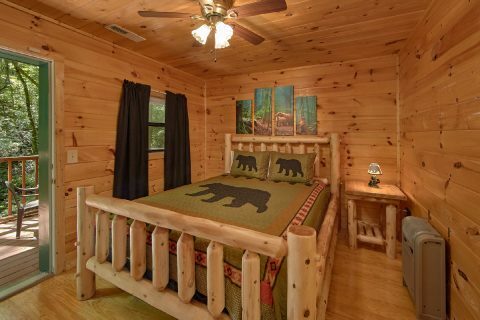 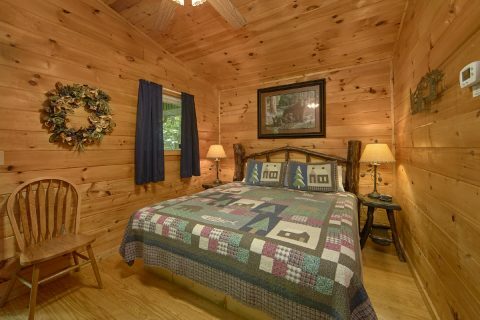 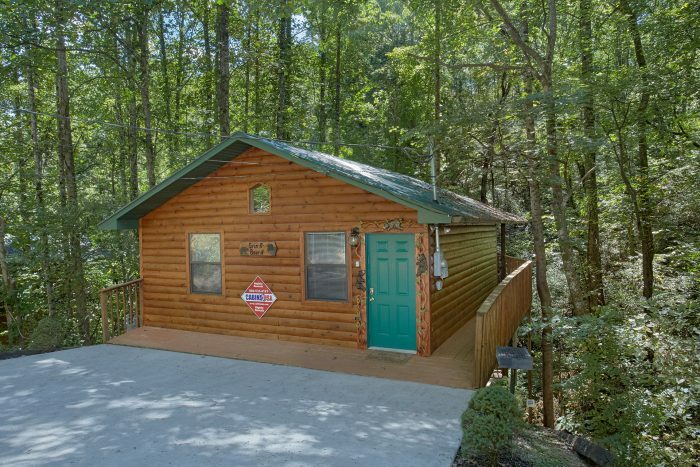 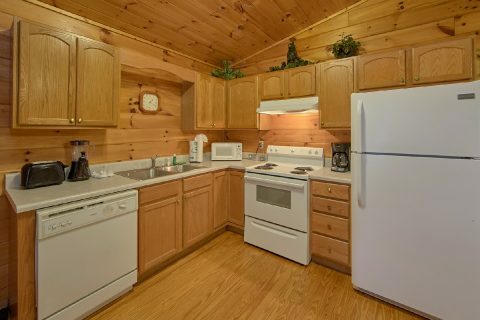 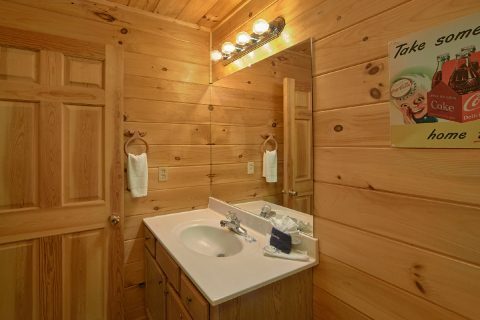 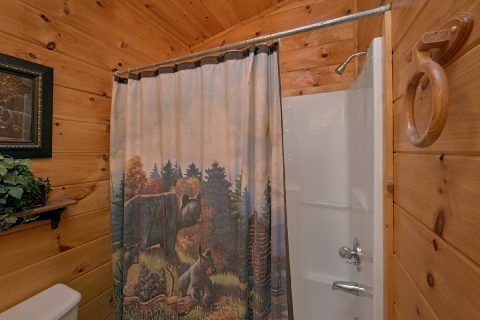 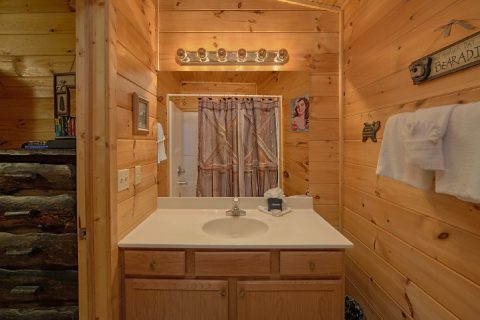 Located in Honeymoon Gardens, your honeymoon cabin in Pigeon Forge offers more than just easy access to nearby fun and adventure but a cute 2 bedroom log home with all the comforts of home. 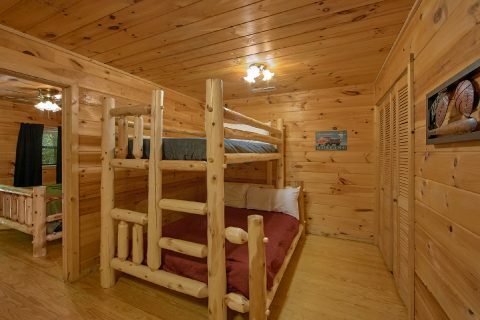 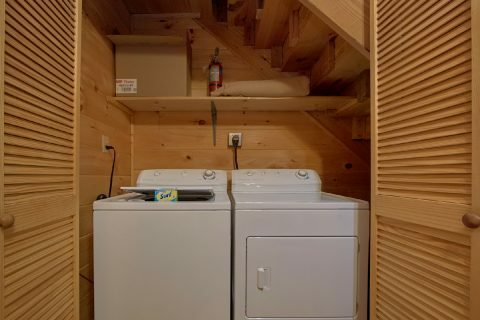 There are plenty of places for everyone to relax and unwind with a king bedroom, a queen bedroom, a bunk bed with full and twin bed, and two full baths. 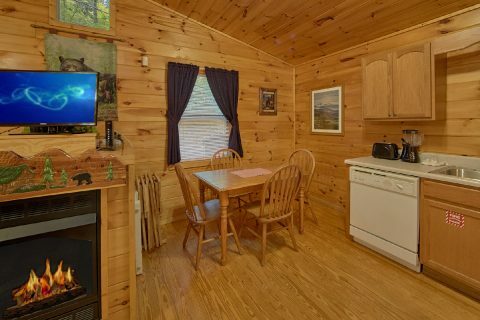 The living room provides a romantic gas fireplace, and the fully equipped, dine-in kitchen offers dining space for 4 and an opportunity to cook romantic meals for two. 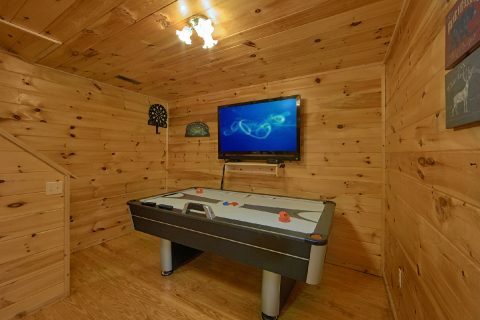 The game room houses an air hockey table and television for relaxing in the evening. 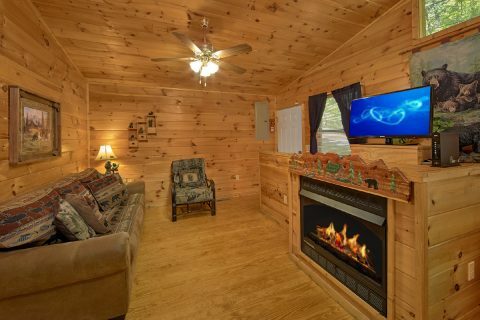 Pigeon Forge and the surrounding area are sure to keep everyone busy with nearby Dollywood and the hundreds of other thrilling adventures but don't forget to enjoy your honeymoon cabin in Pigeon Forge's personal hot tub or cooking out on the charcoal grill. 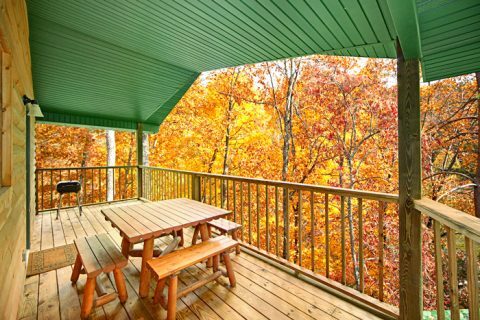 Book this wonderfully affordable honeymoon cabin in Pigeon Forge online with Cabins USA for an immediate extra special Online Cabin Discount today! 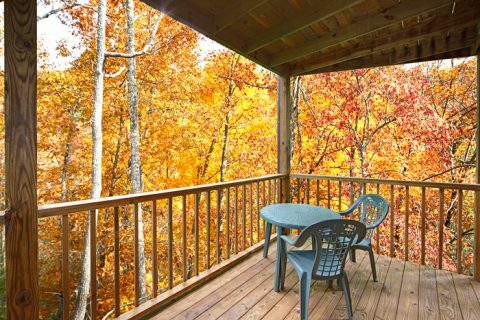 Start having all the Smoky Mountains fun you deserve!